In an ideal world, acne would be a long-forgotten teenage memory that only resurfaces in the form of family photographs. Unfortunately, reality is a lot harsher — and less forgetful — than that. More often than not, acne scars and blemishes are left behind, all of which can be immensely challenging to deal with. 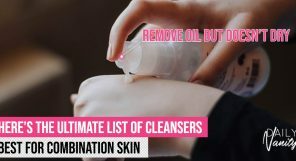 The solution to said blemishes and scarring? 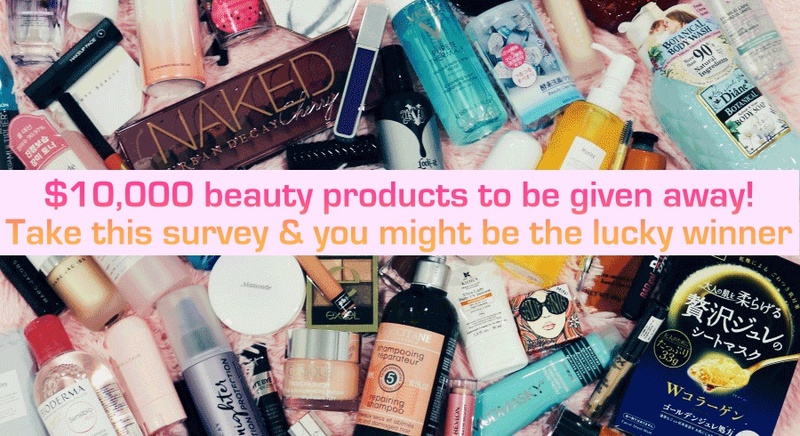 Using the right products in your skincare routine, of course, and going for regular facials. 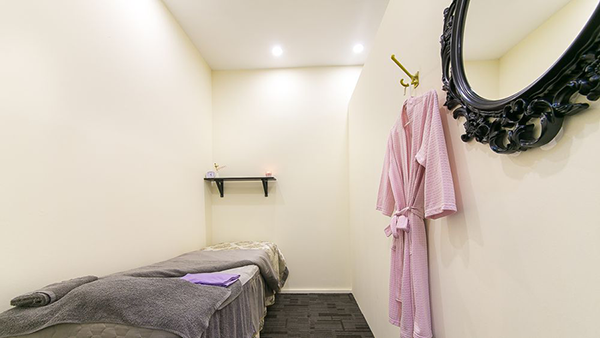 Or, to be more specific, going for facials that are catered for acne scarring and blemishes. Sounds like something you’d be interested in? 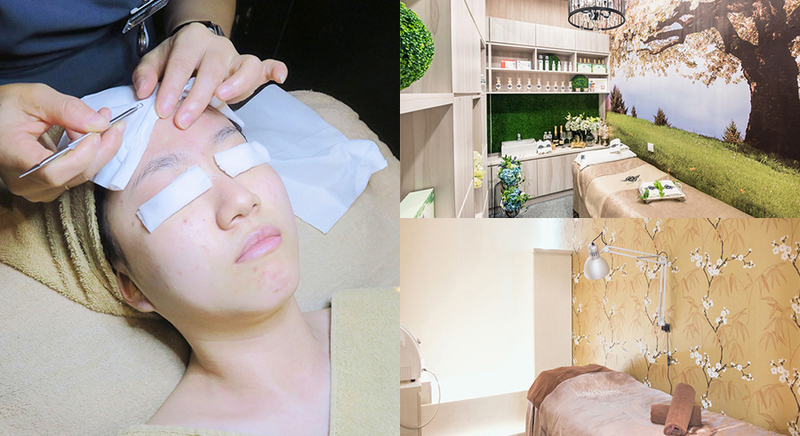 Luckily for you, Daily Vanity has done the research and hunted down 5 of the best facials to treat blemishes and scarring in Singapore. 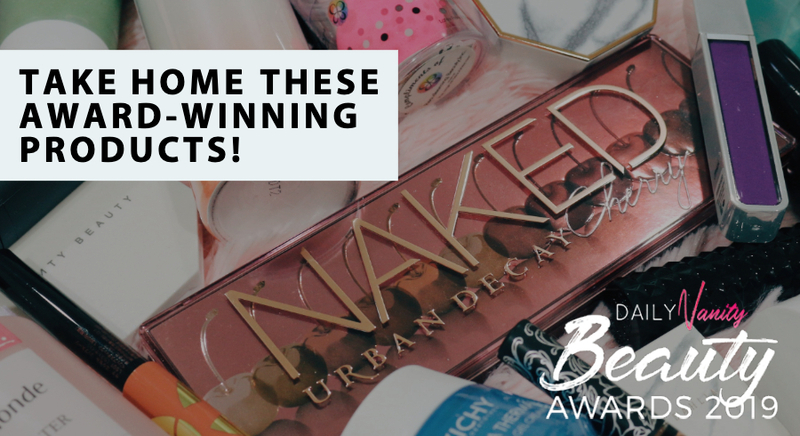 Ready to achieve your #skincaregoals just yet? We know we are! As someone with countless acne scars, I was pretty psyched to hear about Renaza’s Cryo Clear Facial. 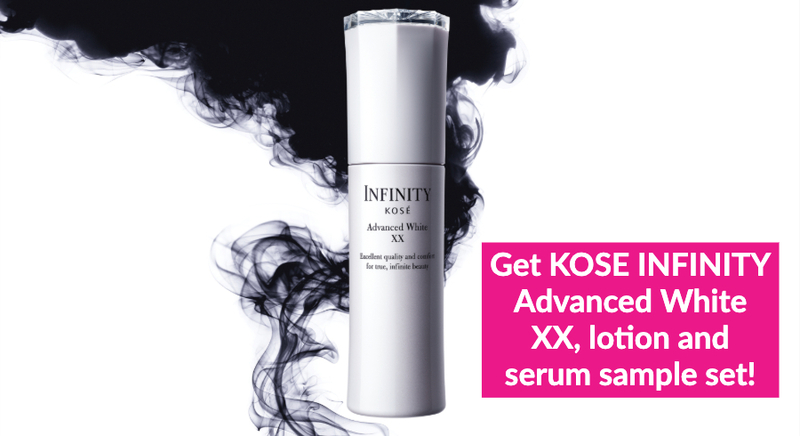 Suitable for those with blemished, congested, and combination skin, it sets out to detoxify and clarify skin all while fighting skin impurities. Upon first glance, Renaza’s exterior was simple, no-frills, but with a touch of modernism. I liked the clean, minimalist look that set me at ease immediately. Unlike most facial consultation sessions where you’re asked to fill in a sheet detailing your skincare history, Renaza’s was short and sweet. 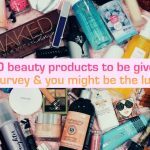 The form I had to fill in was mostly focused on my current skincare problems. How efficient! Once that was done, I was escorted right into the facial cabin. 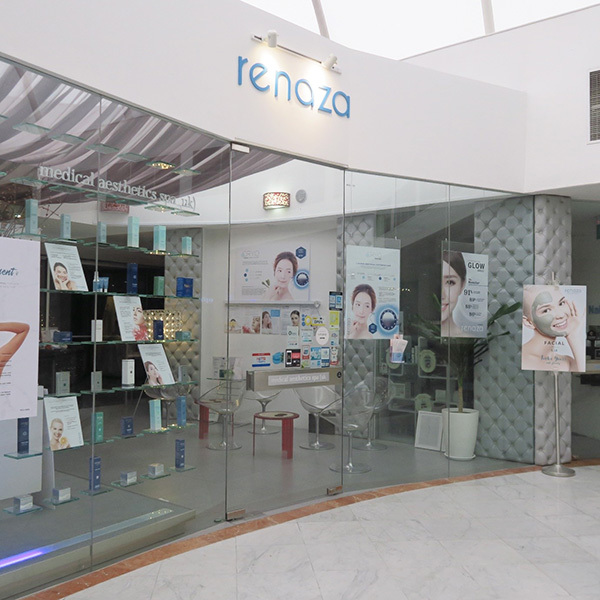 The Renaza Cryo Clear Facial kicked off with a calming, aromatherapy massage session. My face and shoulders were treated with lavender oil. My consultant, Fiona, told me lavender oil has soothing properties that are known to treat anxiety, insomnia, and restlessness – the perfect remedy for aching shoulders and a stressed mind! I was then told to breathe in periodically while Fiona kneaded at the focal points of my face – my nose-bridge, forehead, jaw, as well as my shoulders and chest. The next step? Cleansing, of course. My makeup was removed, before the double cleansing began. A Spa-grade Oil Cleanser – a gentle olive oil-based cleanser that was fragrance-, paraben-, and alcohol-free – was used, with Renaza Rosehip Hydrating Cleanser following. 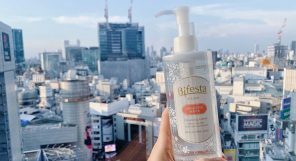 This one is a gentle, soap-free cleanser formulated with rosehip seed oil and seaweed extract, which didn’t make my skin feel tight or dry in the slightest. When I commented about how nourishing it felt, I was told that Rosehip seed is naturally rich in essentially fatty acids, Vitamin E, and A, thus making it an effective remedy to nourish and soothe my skin while also removing any dirt built up on my skin. Nice! 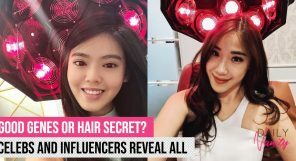 Fiona also mentioned to me that most of the products used during their facial sessions are formulated to be suitable to all skin types, which explains why products used are all gentle, fragrance-, paraben-, and alcohol-free. Yup, thus means that customers with the most finicky, sensitive skin types are able to go for Renaza’s facials, too! Before washing the cleanser off of my face, Fiona used their in-house Sonic Cleansing Exfoliation device to allow for the product to absorb and penetrate into my skin more effectively. It also (helpfully!) takes off all the yucky dead skin cells still present on the surface. The extraction came next – also known as the most dreaded part of any given facial. I’m not going to lie, the procedure hurt — but it was over super quickly, and with my face coming out much cleaner looking than other facials I’ve tried in the past – needless to say, I was pretty impressed. The next step involved the use of their Cryo Cool machine. A lightweight hydrator was first applied to my face, with it containing powerful ingredients such as ginseng, gingko, and rosemary to help revitalise skin. Aloe vera, chamomile, and lavender are used to soothe instead while Vitamin A, C, and E assists in free radical defence. It was also used at a sub-zero temperature – think of it like putting your one of your favourite masks in the fridge, then taking them out onto your face days later, nut ramped up several levels. I loved it! The Cryo Cool machine was then turned on. Utilising Blue LED Phototherapy, I’m told that this would help kill any acne-causing bacteria on my face. Another aspect to this part of the treatment that I enjoyed? How the hydrator was infused with Amino Peptides to reduce expression lines and increase skin firmness. I could distinctly feel the effects of it right after my facial – in fact, I don’t think my skin had ever felt so plump and smooth. After that heavenly Cryo Cool Blue LED Phototherapy session, Fiona moved on to the Lymphatic Drainage Facial Massage – which really isn’t quite as intimidating as it sounds. The facial massage was quite similar to the aromatherapy massage in the sense where pressure was applied to a few focal points of the face, though with one key difference: it gets you one step closer to that magical V-shaped face. Okay, I’m exaggerating — it does, however, prevent your face from looking bloating, which is great for those on their period! I was then given a calming shoulder massage which really eased the tension in my joints while Fiona moved on to applying the Spa-grade Bentonite Volcanic Healing Clay Mask. Also known as Montmorillonite, the Bentonite Clay is a popular healing clay that has been used in India for CENTURIES, with detoxifying and clarifying properties that are known to do wonders for one’s complexion. 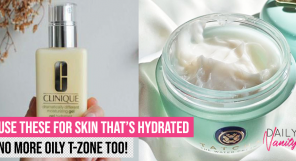 Containing skin-loving minerals such as iron, calcium, potassium, and magnesium as well as silica— which is a trace mineral that strengthens the skin’s connective tissue— you bet my skin loved all this stuff! I believe that a picture speaks a thousand words, and the results definitely speak for itself. For instance, my nose and cheek areas are much, much less congested-looking, and there are no traces of redness AT ALL. Yay! Wanna try it out for yourself? 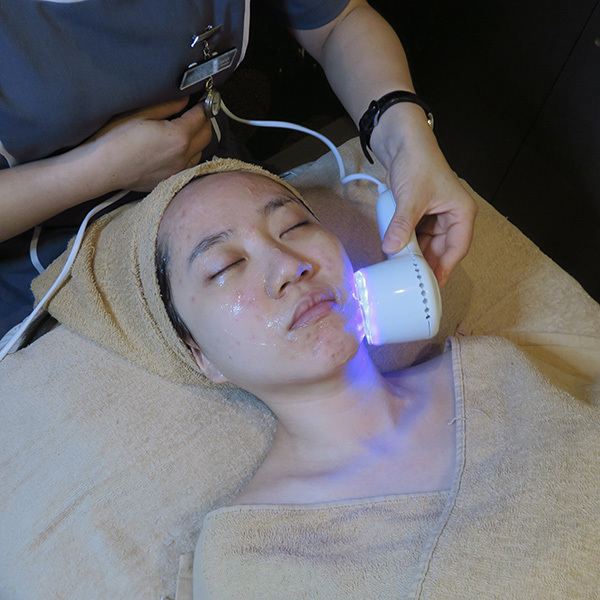 This Cryo Clear Facial is currently going for a trial price of SGD78 (u.p. SGD280) on their website right now! Click here for more details. Opening hours: For a full list of opening hours, click here. Contact: For a full list of contacts, click here. Follow them on Instagram and Facebook for the latest promos/updates! 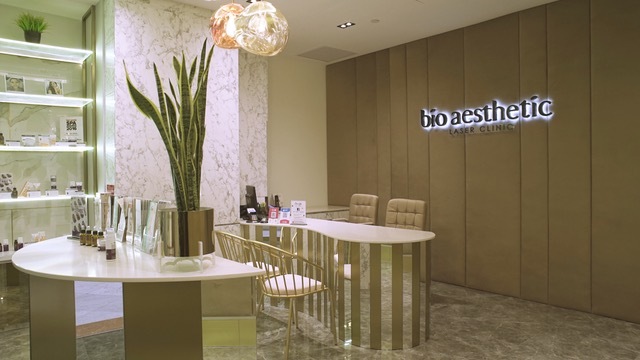 Established in 2012, Bio Aesthetic Medispa is known for their exacting standards as well as their ability to deliver on safe, effective, and positive results. With a focus on natural yet technologically advanced beauty solutions, you just know that you’ll be in good hands. Try out their Fractional Acne Scar Resurfacing procedure, which ensures collagen remodeling, dermal regeneration, as well as the treatment of acne, acne scars and even wrinkles! The secret lies in the swift and efficient delivery of heat towards your skin’s dermis, which triggers your body’s natural healing response mechanism. This, thus, induces boosted collagen growth as well as creates healthy skin tissue. The end result? Smooth, radiant and glowing skin that you just can’t get anywhere else. If you’re thinking of trying out this treatment, well, it’s your lucky day! Redeem this coupon here and do so at a discounted rate of SGD48 (U.P. SGD298). 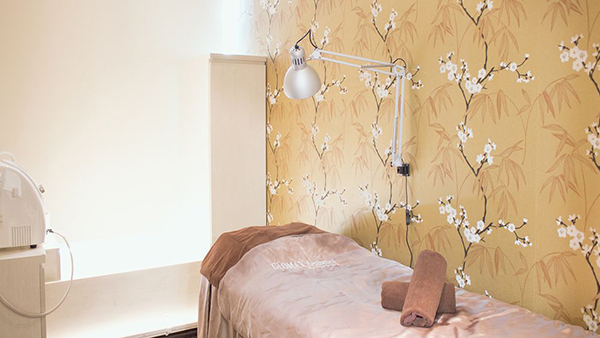 Don’t let the relatively simple interior fool you— Lavish Beauty is actually known for their knowledgeable therapists as well as effective treatments, with an extensive list of treatments provided at beyond affordable prices. Our pick? 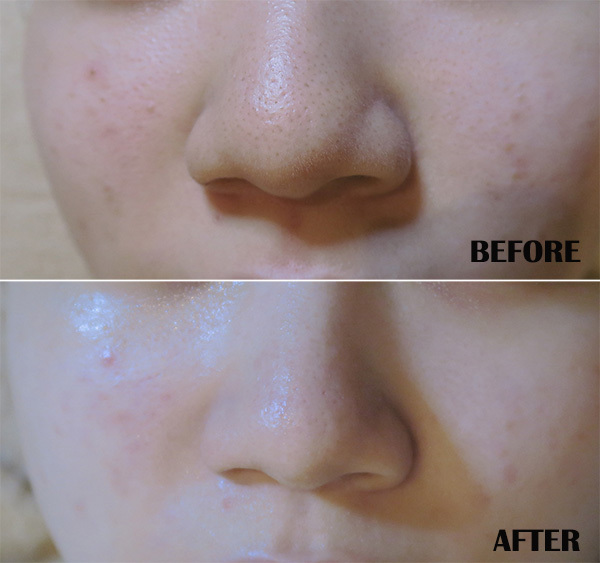 The Acne Scar Healing Facial Treatment. 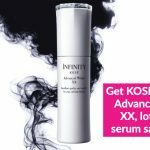 This one supposedly lightens deep, raised acne scars in just one treatment, and also includes a gentle cleansing, extraction, a detoxifying face massage as well as a mask to end things off. 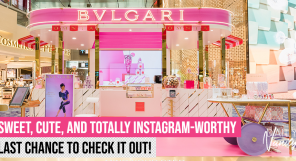 Sounds like a real pampering experience already! We highly recommend topping it off with lash extensions and or a eyelash perming session if you’d truly like to make a day of it. 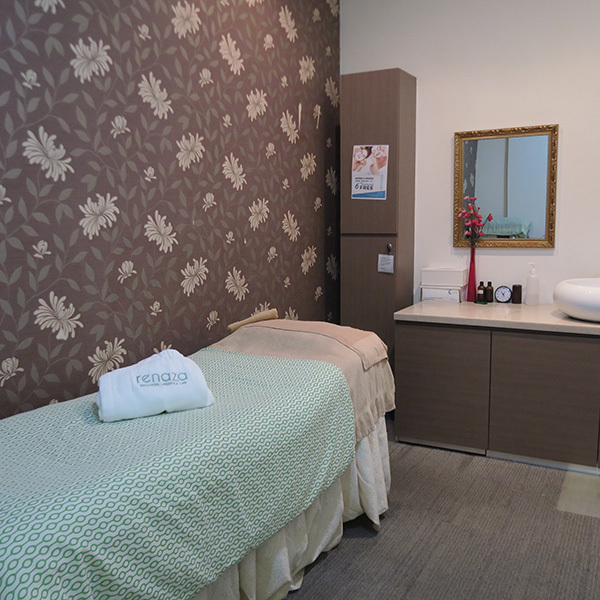 Try out this treatment for just SGD168 here! Address: 10 Anson Road, #03-08 International Plaza, Singapore 079903. 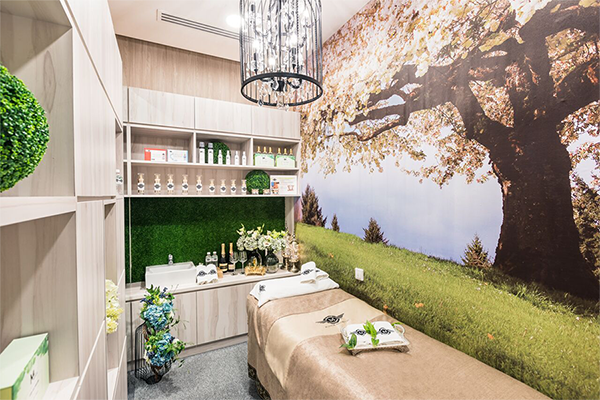 Widely regarded to be one of Singapore’s most reputable beauty salons, Glomax Aesthetics is a must-visit if you’re suffering from acne-prone skin, acne, or acne scarring. Equipped with the most up-to-date treatment options and services, they are always working to stay ahead of the curve by specially crafting their solutions to provide instantaneous results. 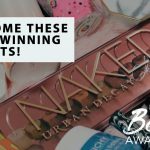 Go for their award-winning Intensive Acne Medic Treatment if you’re suffering from inflammatory acne on top of scarring. Not only does it work wonders when it comes to calming red, irritable skin, it also enhances the promotion of collagen and smoother, tighter and brighter skin in the long run. And isn’t that what we all want from our skin? We know we do! Oh, and did we mention that you’ll get to enjoy this treatment at a discounted rate of SGD88? (U.P. SGD150). Simply click here to redeem it! You’ll be transported into a garden wonderland the second you step into Mirage Aesthetic with its lush foliage and serene atmosphere. 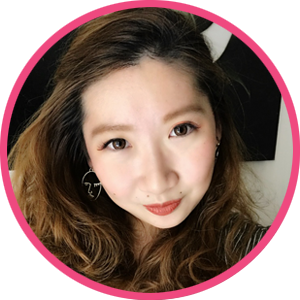 Conceptualised by industry players with more than 10 years of experience in the beauty industry, you can rest easy knowing that they only provide the best of the best when it comes to their treatments, therapists, and service. For acne skin and scarring, we recommend The Cure: a treatment that helps combat acne and blemishes without drying out skin. Perfect! Using specialised plant extracts such as Portulaca Oleracera, Mistletoe and Chamomile flower water, you’ll also be pleased to know that it also contains anti-ageing properties that helps fight free radicals and signs of premature ageing. Already raring to book an appointment? Redeem a coupon here to it for SGD128 (U.P. SGD408) instead! Contact: For a full list of their contacts, click here.